Applicants are invited to apply for a PhD position in nanotechnology at Chalmers University of Technology, Sweden. Successful candidate will have funding to work and study for five years in Sweden. The deadline to apply is November 10, 2018. The challenge ahead - help us build a quantum computer! The Wallenberg Centre for Quantum Technology - WACQT - is a 10-year initiative, started in 2018, for the purpose of advancing Swedish academia and industry to the forefront of quantum technology, and to build a Swedish quantum computer. Our ambitious goals at Chalmers are to build a quantum computer with 100 superconducting qubits, and to apply it to real computational problems that cannot be efficiently solved on a conventional computer. Such computationally hard problems are found, e.g., in optimization, machine learning, quantum chemistry of molecules, materials science, etc. Having contributed to starting the research field of superconducting quantum circuits (in the 1990s), we are now scaling up our efforts to build a quantum computer. Building a quantum computer requires a multi-disciplinary effort between physicists, electrical and microwave engineers, computer scientists, and researchers within materials science and nanotechnology. Within WACQT, we therefore work in close collaboration between the experimentalists in the Quantum Technology Laboratory (QTL) and the theorists at the Applied Quantum Physics Laboratory (AQPL) at the Department of Microtechnology and Nanoscience (MC2) at Chalmers. We also have a close collaboration with several European groups within the new Flagship on Quantum Technologies, as well as groups worldwide. We are now seeking to fill up to four PhD student positions in experimental quantum computing at the Quantum Technology Laboratory. QTL currently has about 17 members and is expanding. 1. Build the best superconducting quantum circuits in the world, and understand their limitations. 2. Build a microwave amplifier that adds only the minimum amount of noise allowed by quantum mechanics. Use it for simultaneously reading out the state of multiple qubits. 3. Design and perform microwave simulations of quantum computer hardware with up to 100 qubits - control and quantum circuits; microchip 3D integration. 4. Design and set up the multi-qubit measurement system for a quantum processor; characterize the processor and run simple quantum programs. For all positions, the work includes, to a varying extent, circuit design and simulation, nanofabrication and process development in the MC2 Nanotechnology Laboratory cleanroom, microwave techniques, high-speed electronics, programming and automation, cryogenics, measurements, data analysis, physical modelling, collaboration, and written and oral communication. We value a collaborative attitude and an interest in working both in teams and independently. Self-motivation, attention to detail, and a problem-solving analytical ability are important personal qualities for these positions. The main responsibility for you as a PhD student at Chalmers consists in pursuing doctoral studies by conducting research within your project, in collaboration and independently, leading to results that you will publish in journals and present at meetings and conferences. Your studies also include coursework in your field and common core courses on generic and transferable skills. The position generally includes teaching on the undergraduate level or other duties corresponding to 20 per cent of working hours. As a PhD student within WACQT you will also be part of the WACQT doctoral school, which includes joint courses and summer/winter schools together with PhD students from other universities in the Centre. Master’s level degree corresponding to at least 240 higher education credits in Physics, Electrical Engineering, Electronics, Nanotechnology, or equivalent. Very good verbal and written communication skills in English are required. 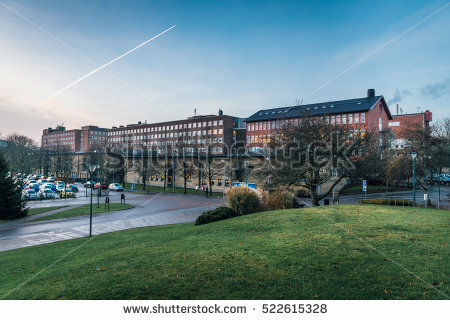 Chalmers is located in the centre of Gothenburg (Gteborg, in Swedish), on the west coast of Sweden. Gothenburg is Sweden's second largest city with a population of about 1 million people in the metropolitan area, and is often referred to as the “heart of Scandinavia.” Gothenburg can offer world-class restaurants, trendy bars, concerts, theatre performances, hockey or football games, fairs and exhibitions. There are also plenty of outdoor adventures to discover. Why not explore the myriads of islands in the archipelago or visit historic forts and castles. The video below gives an impression what it’s like to live and study in Gothenburg. CV, including the contact information of two reference persons. Application deadline: November 10, 2018, at the earliest, or until the positions are filled. Applications will be selected continuously.